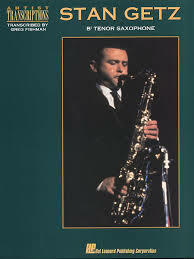 20 original solos which provide beginner saxophonists with enjoyable and instructive material based on Blues, Jazz and Rock idioms, presented progressively. Since gaining a first class honours degree in Engineering at Cambridge University and then a Ph.D., Ian Morrison seems to have devoted most of his time to music. He started playing the violin as a child and then became competent on the piano, guitar, accordion, saxophone, trumpet and drums, and, as well as teaching saxophone, he plays baritone in a saxophone quartet and in a ska band at weekends. 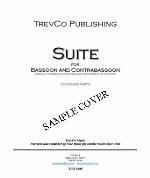 He has composed and arranged for over twenty years, for a variety of instruments in various genres, and his work has been performed by big bands and concert bands. 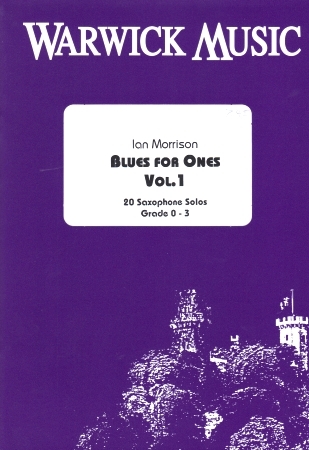 The first in a series of two books, Volume 1 of 'Blues for Ones' introduces Grade 0 - 3 students to common rhythmic styles - swing, rock, rock'n'roll, jazz waltz and various time signatures - in a range of common keys, which provide excellent material for rhythm and rest reading while blues harmonics introduce reading and hearing accidentals. 7. At Sixes and Sevens?